BRITISH AIRWAYS owner International Airlines Group (IAG) has revealed that it is exploring a possible takeover bid for budget carrier Norwegian Air Shuttle. The firm said in a stock market dispatch that it has already acquired a 4.61 per cent stake in the airline, leading to an initial 40 per cent surge in its shares on the Oslo stock exchange and lifting its estimated value to €800 million. IAG’s statement said that the investment is “intended to establish a position from which to initiate discussions with Norwegian,” including a possible buyout. The announcement added that it views the carrier as “an attractive investment,” clarifying that “IAG confirms that no such discussions have taken place to date, that it has taken no decision to make an offer at this time and that there is no certainty that any such decision will be made. The operator later confirmed the sale of the stake. 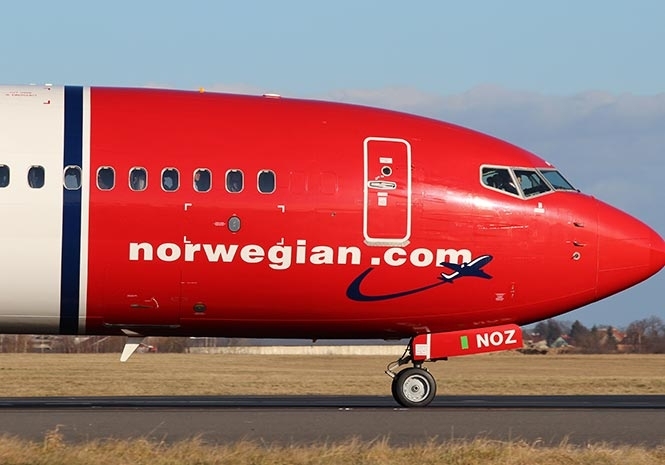 Norwegian Air is a direct rival of low-cost specialists Vueling – which offers short-haul flights in Spain and Europe – and new long-haul airline Level, both of which are owned by IAG. It has grown rapidly over the last year after opening up an array of new routes at knockdown prices, including flights from Edinburgh and Dublin to New York for as little as €115. Its Spanish base is Barcelona’s El Prat hub, from where it operates direct flights to Los Angeles, San Francisco, New York and Miami, and it also plans to introduce a service from Malaga to New York in the near future. Level also flies from Barcelona to San Francisco, as well as Boston, Buenos Aires and Punta Cana in the Dominican Republic. Norwegian Air transports 30 million passengers a year and recently struck a deal with easyJet allowing its customers to book cheap long haul flights. After posting profits of more than €1.1 billion in 2016 it last year announced a €30.8 million deficit, holding the purchase of 32 new jets and hiring new staff responsible for the loss.